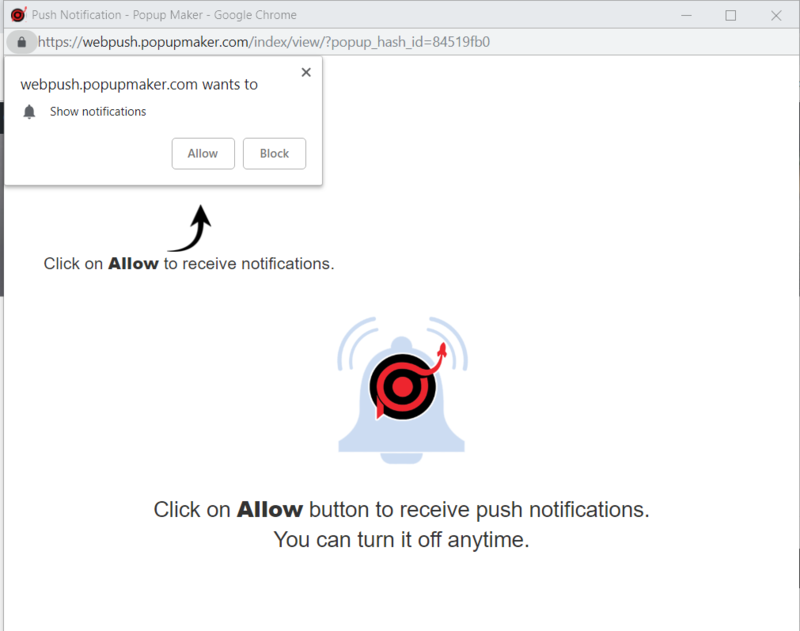 Another great option from Popup Maker, Web Push Notifications, is ready to increase the conversions on your website. Web Push Notifications is the ultimate tool to keep the connection with your customers and grow your sales in the most productive way. 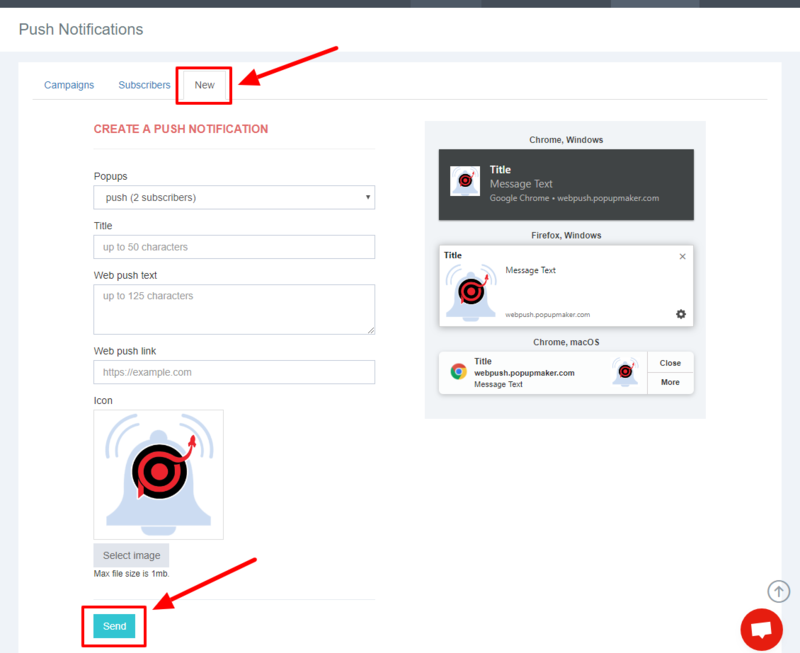 Before starting the creation of your Web Push Notifications, you should create a popup with a button element. Show it to the users so they can allow you to send them push notifications. Select the button behavior “Push” to connect it with the webpush notifications option. Inform them via the button popup that you have a lot of cool stuff that you’d like to share with them periodically. Then ask the to allow you to send push notifications to them via browsers. Here&apos;s an article for the steps of creating a button element popup: How to use a Button Element in a popup? The users who allow receiving notifications via the Button element popup, will be added as "subscribers" in your Web Push section. 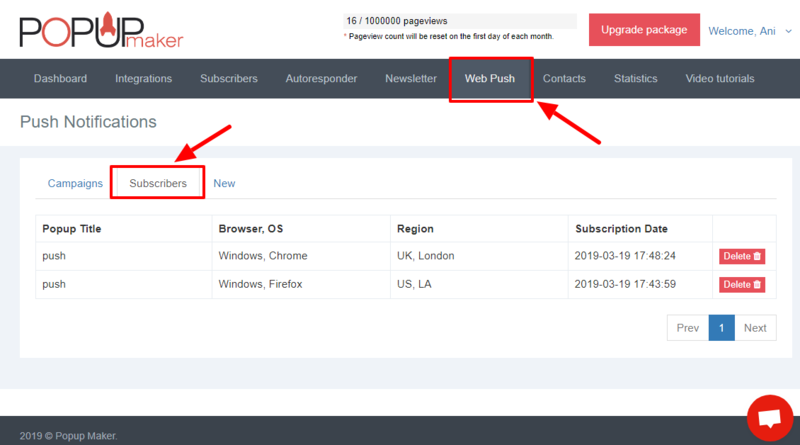 After collecting subscribers for your web push notifications, you can start the Web Push Campaign. In the Web Push section of your dashboard, click "New" to start a new campaign. Select the subscribers via the "Popups" option. You can select subscribers collected via several popups. Include a link if you wish to redirect users to some page through the notification message. Add an Icon of your service, so the users will know who&apos;s the message comming from. Click "Send" and your Web Push campaign is started! The users who have allowed receiving web push notifications from you will see the message in their browsers. Please, be noted that the message will look differently on each browser differently (see examples on the right corner of the screen) and you can&apos;t change it. Note: Web Push notifications do not work on Safari browser and iPhone. This is a perfect beginning for you to start receiving more income with Web Push campaigns.